My wife received a Keurig coffee-maker for Christmas back in 2013. Sometime later, around April of 2014, the Keurig coffee-maker began acting up. You can learn more about it by watching the video. We had called the Keurig support telephone number but nothing they suggested worked for us. Through the process of experimentination, I got our Keurig working like new again. This page is here to hopefully help you get yours working again. This solution requires no mechanical tinkering. You DO NOT need to take the bottom off, or clean any clogged tubes within the machine. Try this first, before tearing into your Keurig. It may not need to be repaired mechanically. I make no promises, but I was able to get our Keurig working using this method. It is a very simple method. You don’t need to tear your machine apart to try it. Hopefully it will work for you. 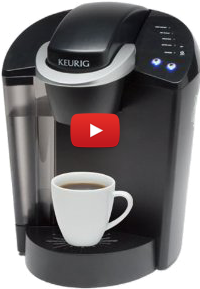 There is also another issue that folks have with the Keurig coffee-maker which turns out to be an easy fix. Here is the issue: When you use the normal K-Cup dispenser the machine works fine. But if you use the reusable coffee filter pictured here you get less than a full cup. When you follow that step with the normal dispenser again you get an over-flowing cup of coffee. My son’s wife had that problem and they asked if I could come look at their machine, which I did. After pulling it out from the wall and resetting it as explained in the video it still didn’t give a full cup from the reusable filter. 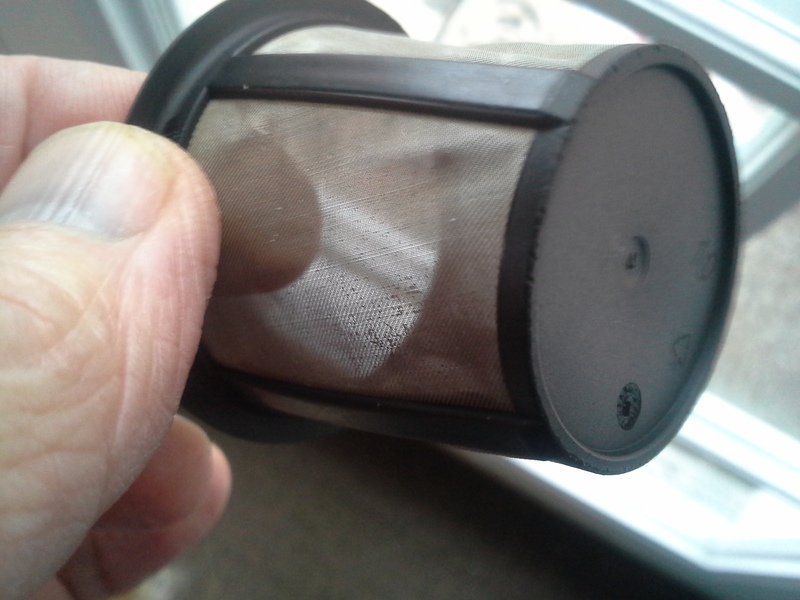 Then I opened the reusable filter and saw the problem. THE ISSUE: She never really cleaned the filter after each use. Over the period of one year it became so clogged that all of the water in the machine’s reservoir couldn’t flow through. So the next cup got the extra water. Keep the reusable filter clean. Simply hold it under a faucet and rinse ALL of the coffee from the screen.